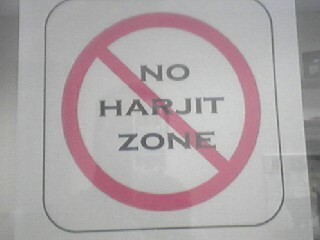 Brown Brown: No Harjit Zone! Gordon created this "No Harjit" sign!! Bill designed and created this sign to replace Gordon's homemade one above. 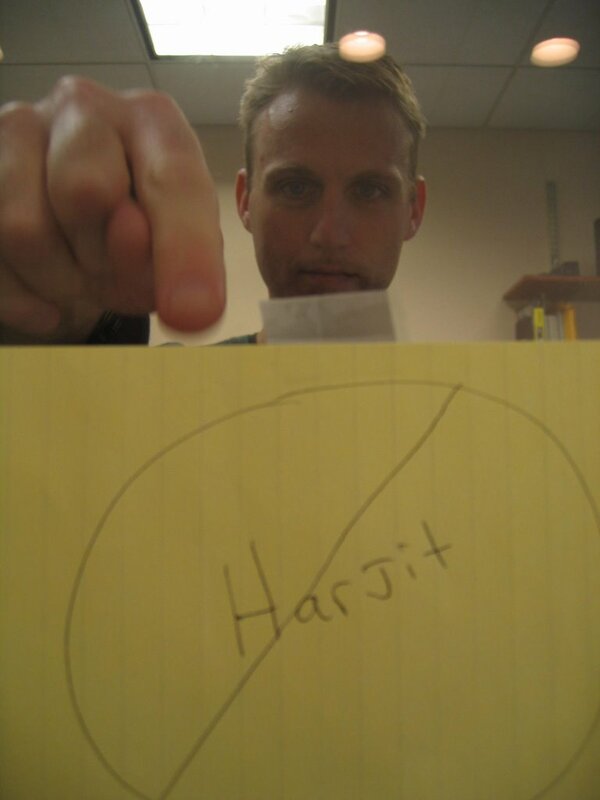 Gordon behind the "No Harjit Zone"!! 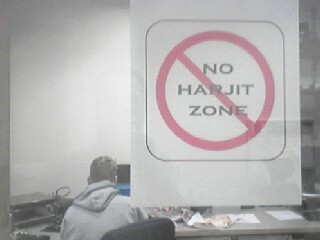 I wonder if this sign was put up for some specific reason.